Did you ever wonder how Jesus became the spiritual man we read about in the Bible? How did this carpenter from Nazareth in the Middle East grow to become the spiritual leader who changed the whole world? Did it just happen, like Superman launching out of the phone booth dressed and ready for action? Or did it happen more gradually, like an oak tree growing slowly from an acorn? Certainly, as the Son of God, he already had the Divine Spirit living in him; he was God in flesh (John 1:1-14). But the Bible indicates that Jesus had to grow into his destiny as the iconic spiritual man walking in the flesh of Adam – “And Jesus grew in wisdom and stature, and in favor with God and men.” (Luke 2:52 NIV). So, how did this growth process take place? What did Jesus himself do to grow into his full spiritual stature? Professor Dallas Willard wrote a thought-provoking book on that idea several years ago called, “The Spirit of The Disciplines: Understanding How God Changes Lives”. In that book, he mentioned that Jesus practiced several spiritual disciplines. 3. Prayer. “Very early in the morning, while it was still dark, Jesus got up, left the house and went off to a solitary place, where he prayed.” (Mark 1:35 NIV). This kind of commitment to prayer weaves itself in and out of the Gospel accounts. 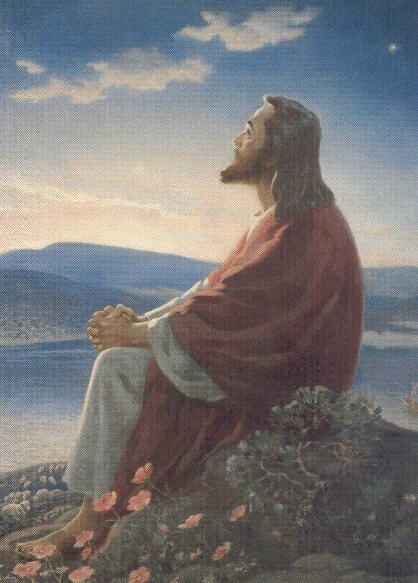 Jesus prayed often and he prayed for hours at a time, even sometimes praying all night. In my book, Why God Waits For You To Pray, you’ll find an appendix that chronicles 17 major prayer events in Jesus’ life, and another one listing the 15 major “seminars’ Jesus taught on prayer. Jesus believed in prayer. And he practiced it with an intensity and commitment that awes us and pulls us forward to follow his example.